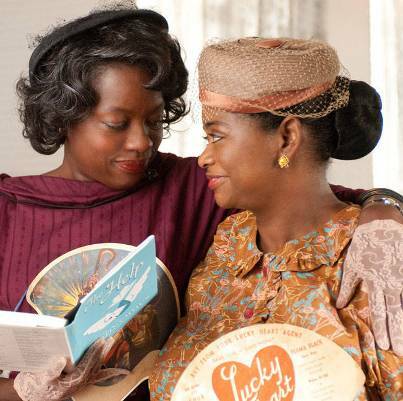 The Help was not on my short list of “Must See Films,” but after reading some early reviews, and hearing glowing praise from family and friends, I quickly realized this was a movie that I needed to see. The film’s screenplay written by Tate Taylor, was based on the best-selling novel by Kathryn Stockett and is set in Jackson, Mississippi in the 1960s. We see a world clearly divided by color, that has changed little since the beginning of “Jim Crow”, and a group of wealthy whites that see no reason to change a system they feel is working quite well. It is the return of a southern-Society girl from college that sets in motion a series of events that will force this town into a new age. Eugenia Skeeter Phelan (Emma Stone) leaves college with a very different view of life than when she arrived. Coming home her first order of business is to get a job writing for the local paper, where to her disappointment she given the task of writing a column about helpful tips for woman matters as banal as how to get out a stain. Not only do we see that this is far from the kind of real journalism to which she aspires, it is also something that she knows nothing about. Herself, in large part raised by a black woman that worked in her home, She turns to a black woman, named Aibeleen (Viola Davis) who works for a friend, and is someone that Skeeter has known her whole life. Aibeleen is happy to help Skeeter with helpful tips but when she asks Aibeleen more personal questions about her life the tone changes. Viola Davis gives a moving performance showing a woman that wants to tell her story yet is terrified of the ramifications of doing so. Vibeleen did not go to college; she is a woman without the power, or perhaps the luxury to challenge the status Quo. It is the question from Skeeter “What its like to raise a white baby while her own baby was at home being watched by someone else”. That moves her to overcome the fear and to join forces with the young white woman that is asking the questions and treating her with a level of respect that no white woman has ever shown her. More than just a plot, this is a film with a strong social message. It gives the viewer insight into a place and time when segregation and overt racism were socially accepted, in fact rewarded. As the story begins, the upper class white families live a life of leisure in large part, on the backs of the hard labor performed by a permanent under-class of poor back woman. These women, clean their homes, cook their food and raise their children, and all for one-step-above slave-labor wages. As a person born in a later era, I was struck by the overwhelming sense of entitlement that, particularly these young white mothers, felt was owed to them simply based on a genetic trait. The 1960s were a time of great change, a true social revolution, while Skeeter represents the change that has arrived, her old friend, Elizabeth Leefolt (Ahna O’Reilly), is the very embodiment of a time that must come to an end. This is a tale of power over the disenfranchised, of racial equality, sexually equality and of the basic dignity that too often alludes those that deserve it the most. Aibeleen watches Skeeter have the strength and purpose to turn on her former friends, and realizes that she can trust her, and recognizes the importance of the story that she has to tell. At first glance this might seem like a dark and depressing film, but to the contrary we are shown woman of great personal strength and courage. It is a story of redemption as seen through the eyes of Skeeter’s mother (Sissy Spacek) who betrays Constantine (Cicely Tyson), the maid who had raised Skeeter from a child, but as the truth is revealed, in the end we see that her mother truly regrets her actions, and is shown as both a perpetrator of racism but also one of it’s victims. While the courage of the Black maids to come forward and the telling of their stories is the most up-lifting aspect of the story, the most encouraging is the true love that these very young white children have towards the black woman that are entrusted to raise them. It sends a clear message that racism is not innate, but is taught and that we must teach our children to reject hate, and judge people by the choices they make, by the life they lead.